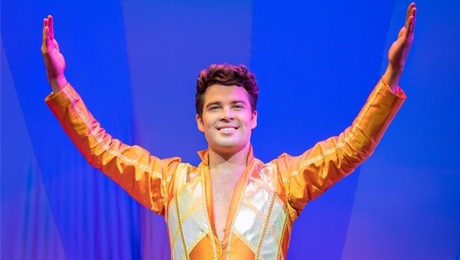 Singing sensation and X Factor favourite JOE McELDERRY will once again wear the world’s most famous coat in the UK’s longest running musical for the 2017 national tour which comes to the Edinburgh Playhouse from 14th to 18th March. Joe’s title-role debut in the 2016 production of Joseph was his first major theatrical appearance – and his performance was met with 5* reviews and standing ovations up and down the country. 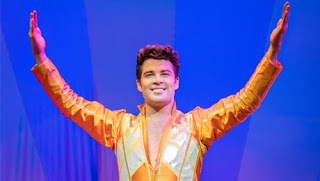 Joe McElderry was just 18 when won the sixth series of ‘The X Factor’ having been mentored by Girls Aloud star Cheryl Cole and beating off fierce competition from Olly Murs and Stacey Solomon. Joe soared to number one on the UK Singles Charts with his rendition of Miley Cyrus’s The Climb and his debut album Wide Awake went straight in at number 3 on the UK Albums Chart. He has since gone on to have two more Top 10 albums, and he became the first X Factor star to release four albums. Joe, who hails from South Shields, Tyne and Wear, is also the first and only celebrity to win three reality TV shows! He was crowned the winner of the second series of ITV’s ‘Popstar to Operastar’ before strapping on his skis and slaloming his way to become champion of Channel 4’s celebrity ski competition ‘The Jump’ in 2014. Having garnered sensational reviews and standing ovations at every performance since its inception over 36 years ago, Bill Kenwright’s ‘amazing’, ‘superb’, ‘wonderful’ and ‘brilliant’ production of Tim Rice and Andrew Lloyd Webber’s family musical has now sold an estimated 20 million tickets. This vibrant and exciting retelling of the biblical story about Joseph, his eleven brothers and the coat of many colours sings out to young and old alike with a score which is crammed wall to wall with hits, including Jacob and Sons, Close Every Door and Any Dream Will Do. For tickets and information visit the Edinburgh Playhouse website.